This volume explores the process of social changes which unfolded in rural society of early medieval Bengal, especially the formation of stratified land relations and occupational groups which later got systematised as jātis. 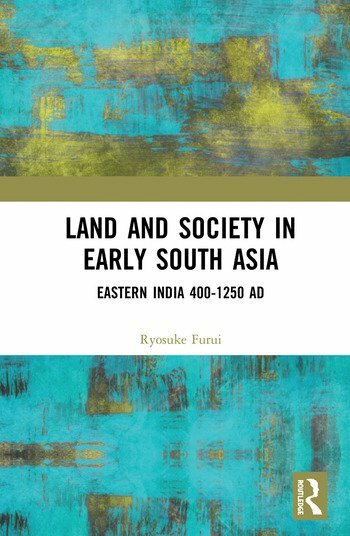 One of the first books to systematically reconstruct the early history of the region, this book presents a history of the economy, polity, law, and social order of early medieval Bengal through a comprehensive study of land and society. It traces the changing power relations among constituents of rural society and political institutions, and unravels the contradictions growing among them. The author describes the changing forms of agrarian development which were deeply associated with these overarching structures and offers an in-depth analysis of a wide range of textual sources in Sanskrit and other languages, especially contemporary inscriptions pertaining to Bengal. The volume will be an essential resource for researchers and academics interested in the history of Bengal, and the social and economic history of early South Asia. List of Abbreviations. List of Maps and Tables. Preface. Acknowledgements. 1. Introduction 2. Geographical Delineation 3. Rural Society and Inner Contentions: c. 400–550 AD 4. Sub-regional Kingdoms and Local Magnates: c. 550–800 AD 5. Growing Contradictions: c. 800–1100 AD 6. Towards Brahmanical Systematisation: c. 1100–1250 AD 7. Conclusion. Appendix: List of Inscriptions. Bibliography. Ryosuke Furui is Associate Professor, Institute for Advanced Studies on Asia, the University of Tokyo, Japan.